Alfa Romeo has at least two more SUVs in the works, one positioned below the Stelvio and another above it. The SUV positioned above the Stelvio will be a mid-size offering to rival the BMW X5 and Mercedes-Benz GLE, and it will be launched some time before the end of 2020, if Alfa Romeo keeps to its most recent schedule. Auto Express managed to learn a few more details about the SUV during a recent interview with Roberto Fedeli. The former Ferrari exec is currently in charge of engineering at Alfa Romeo and Maserati. According to Fedeli, the mid-size SUV will use an extended version of the SUV-spec Giorgio platform that debuted in the Stelvio. Due to its bigger size, the mid-size SUV will weigh about 440 pounds more than the Stelvio which weighs 4,037 pounds. To offset this and maintain Alfa Romeo’s sporty dynamics, Fedeli said the mid-size SUV could come with as much as 400 horsepower from a turbocharged engine with electric compressor. An electric compressor typically sits in the air path downstream of the intercooler, close to the engine. Its purpose is to add boost pressure at low revs while the turbocharger is still spooling up, helping to eliminate turbo lag. The technology made its debut in the production world in 2016 in the Audi SQ7 TDI. To power the electric compressor, Fedeli said Alfa Romeo will use a 48-volt mild hybrid system. 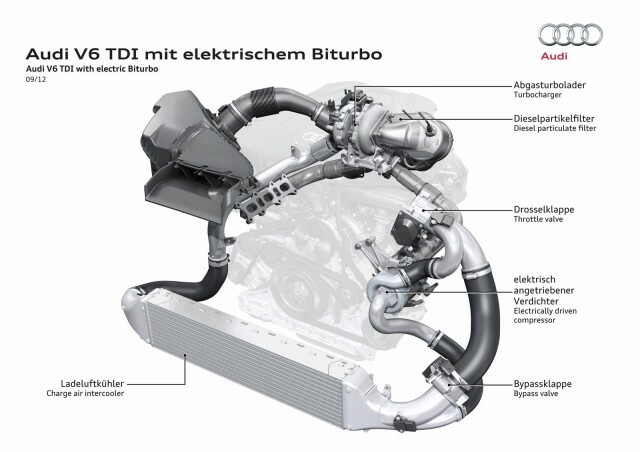 Mild hybrid systems can recapture energy to power ancillaries or provide a performance boost when needed but can’t power a vehicle exclusively, like plug-in hybrid systems. The advantage is that they cost and weigh less than plug-in systems due to their much smaller batteries. According to Auto Express, Alfa Romeo is prioritizing the mid-size SUV over other planned models due to the higher profit margins it would generate as well as strong demand worldwide for the particular body style. Other models in the pipeline are a mid-size sedan, compact SUV, compact car, and two specialty models. All Alfa Romeo is willing to say is that these additional models will be rolled out between now and the end of 2020, though we’ve heard that the mid-size sedan, an Italian challenger to the BMW 5-Series and Mercedes E-Class, has been pushed back to 2021. Apple Supplier Confirms iPhone 7s Plus Will Be Waterproof With Wireless Charging Support: What About The iPhone 7s And iPhone 8?